The power to refer with ease. Invisalign Go has been designed for general dentists. 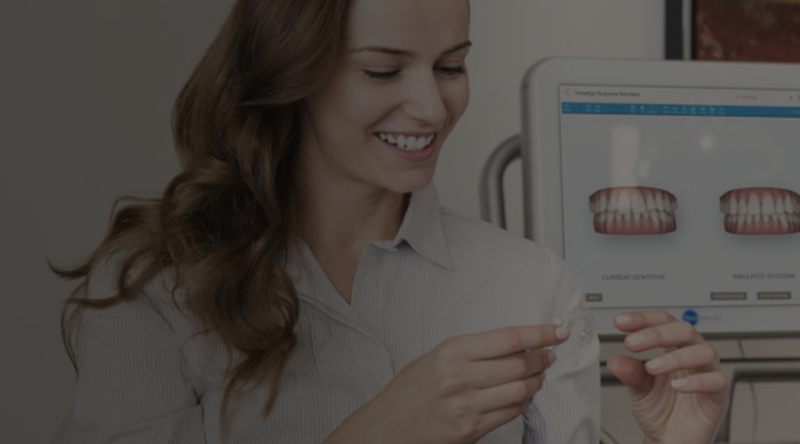 If the case is deemed too complex for Invisalign Go, a digitally aided referral process enables you to transfer patient photos to a portfolio. As well as ensuring every patient receives the right treatment, you are able to build stronger partnerships with Invisalign-trained specialists who are expert in Comprehensive treatment. Help you to identify the right patient for Invisalign Go. Help you to finish cases successfully. Ensure your patients are successfully referred to a specialist trained on the Comprehensive portfolio if their case is not suitable for Invisalign Go. Ensure you stay in control and know that you are doing what is best for your patient.